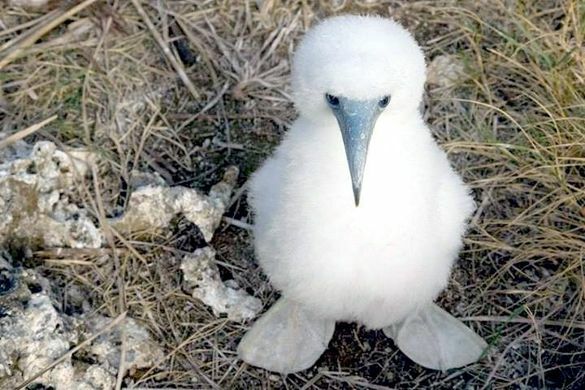 This unique inhabitant of the Galapagos has most likely crossed your eyes before, and if not, get ready to meet one of the cutest birds! 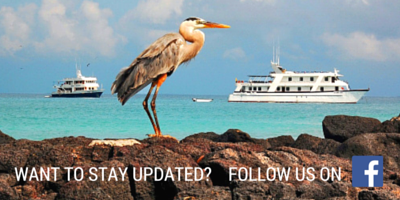 These beautiful birds live off the western coasts of Central and South America. 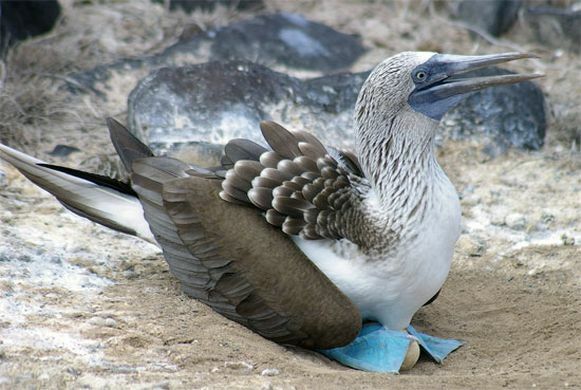 On the Galapagos only; half of all breeding blue-footed boobies call this island their home. 1. 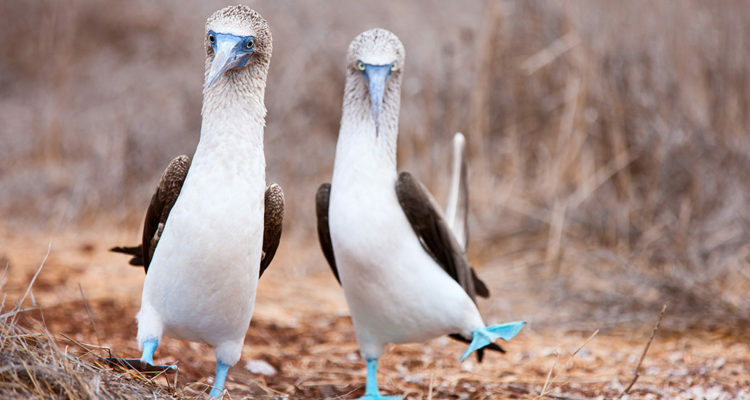 During mating rituals, the male booby’s show off their blue feet with a high-stepping strut. 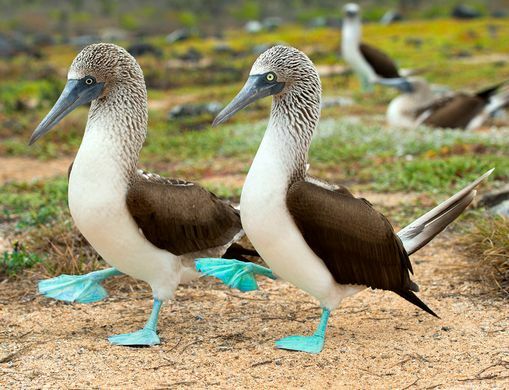 The bluer their feet are, the more attractive they seem to the female booby’s! 2. Their feet are blue because of their diet! Because of the carotenoid pigments they take in through their food, they get concentrated in their feet, making them appear blue! 3. The carotenoid pigments also act as antioxidants and stimulants for the immune system in boobys! 7. 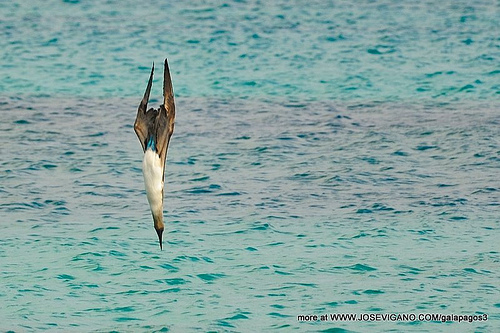 When approached by a predator while hunting for food, the boobys can drop themselves from as high as 80 feet into the water by folding their wings back around their streamlined bodies. 8. 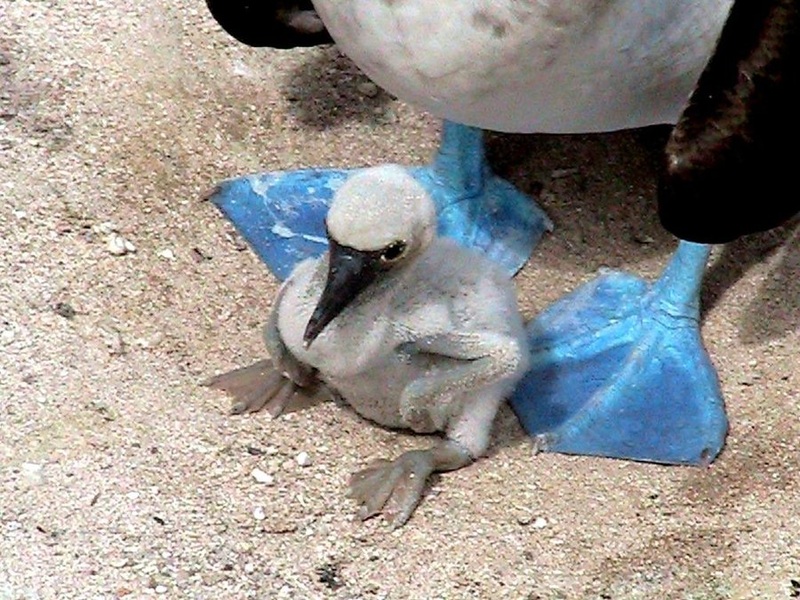 Their feet are not only pretty, also they are perfect to keep their babies warm. 9. 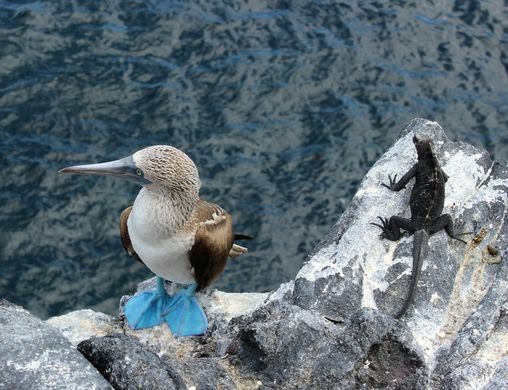 Both father and mother booby care for their babies. 10. 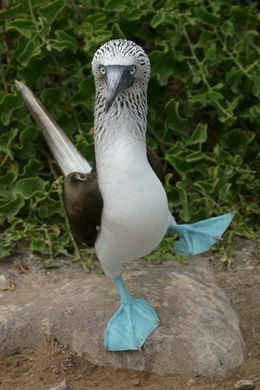 The name “booby” comes from the Spanish word ‘bobo’ which means stupid. The Spanish colonists may have characterized these clumsy birds when they first saw them on land.